Many people think that because coeliac disease is a “genetic” disease, acupuncture can’t help because acupuncture only treats the nerves and pain. Acupuncture can do a lot more than just affect nerves. Firstly, while it is true, people suffering from symptoms of coeliac disease may have been tested and found to have the coeliac gene, there are many people that have the gene but do not have the discomforting symptoms of coeliac disease. It’s no different to other people being tested and found that they have a genetic disposition to prostate cancer but remain symptom free all their life. When the main symptoms of coeliac disease are reviewed from a Traditional Chinese Medicine diagnostic perspective, the collective group of symptoms are commonly categorised into a traditional disease pattern called “spleen deficiency”. Symptoms like abdominal pain, cramping, wind, bloating, abdominal distension, weight loss and loose stools, are all commonly experienced by coeliac sufferers. Often these people have been diagnosed with irritable bowel syndrome (IBS). Mouth ulcers are another symptom seen with coeliac disease and ironically ancient Chinese physicians also correlated one cause of mouth ulcers to spleen disease hundreds of years ago. Acupuncture and Chinese herbs have been treating the symptoms of “spleen deficiency” and hence treating the symptoms of coeliac disease for hundreds of years. Is Coeliac disease more prevalent now because the wheat has changed? From a western medical point of view, the complete elimination of gluten for ever is the only treatment that they can offer. Wheat in particular has changed, especially in the last century. In samples from 1920 batches of wheat, the protein content is over 20%. Now the protein content of wheat is much lower. Other research has shown that acupuncture can increase immunity and improve digestive enzymes. 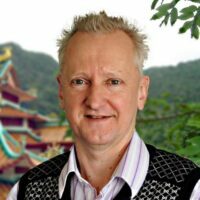 “Acupuncture and Chinese herbs for centuries have helped the symptoms bloating and gas.” says Mark Crain of Brisbane. “If patients can aim to have their spleen functioning at their optimum level, in my experience, some of the symptoms associated with coeliac disease can be reduced. Of course there are other factors that come into account, spleen deficiency is a common scenario with coeliac’s disease, but other organs such as the liver could be involved”. Who can help treat spleen deficiency? 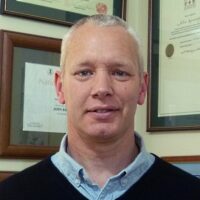 Acupuncture NZ has over 600 members practicing throughout New Zealand and in 2015 Scott Pearson has recently set up at the Newtown Acupuncture Centre in Wellington.